2017 PATTERN FOLIO - Available Now! The 2017 Pattern Folio is now available! Purchase the 2017 Pattern Folio by clicking on the "Add to Cart" button above - this will open up the shopping cart, select "Check out with Paypal" - you will then have the option of paying with either a Paypal Account, or credit card. I downloaded my copy yesterday and, as always Helen, you have done a fabulous job of presenting the materiel simply and beautifully. The book layout is awesome. It is so relaxing to scroll through and ponder each design. 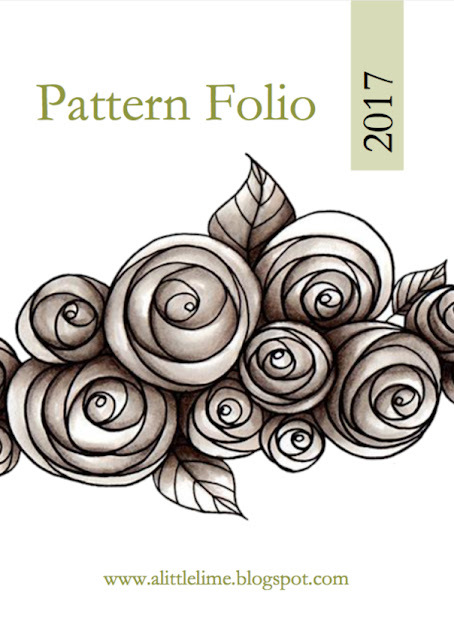 I will spend many happy moments perusing the pattern folio.